The addition of a fire pit to a home can be a functional and a decorative element. There are various items that can be purchased at stores like Walmart to use as a simple device. However, the vast majority of these are for use on a patio or deck and often are ordinary and plain looking. If you are not interested in incorporating such a basic fire pit into your space, then a custom solution will be a perfect idea. 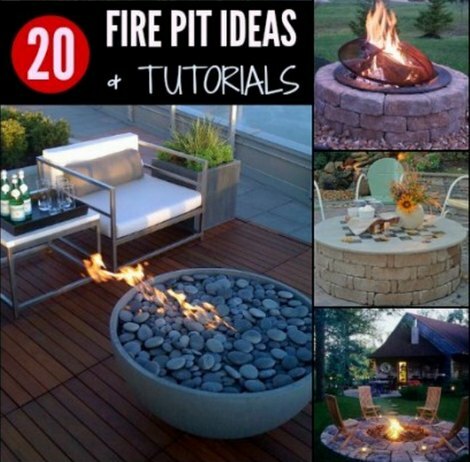 You have many ways to design and build a fire pit for your home. This is something that can have a lot of different elements based on the look that is desired. The main detail to consider is the materials used to build the structure. Brick and stone may be used or other materials might be preferred for your custom fire pit. The choice of material will be based on availability and cost of the product. One thing to keep in mind about a simple fire pit is that you do not need to dig a hole in the ground. That’s an option, but you simply need to have an area that can be used to contain a fire. The type of fire will depend on the fuel that is used to produce the flames. Wood is the most common type of fuel, but gas also may be used if you are considering a custom design for your home.